Business Legal Concerns: Address These Now to Save Time, Money and Heartache! Many business owners go into business with an idea, a dream and perhaps a few partners. With the excitement of a new venture, or the entry into an existing venture, and then the day-to-day work of owning and operating a business, they don’t always think about what happens later on when a partner wants to leave, the business is sold, it’s time to retire, or there is a downturn. Below, Richard R. DuVall, Managing Partner with McCabe & Mack LLP, explains some common scenarios and solutions. Q. What types of commercial disputes or issues do you see most frequently with small business owners? Commercial litigation covers everything from bank collections to property or construction disputes, real estate contracts that go wrong, estate litigation or other friction involving business owners – essentially any kind of disagreement about property or money. In the business arena, it’s frequently about partnership or corporate breakups and business dissolutions, or claims of waste or mismanagement or partnership agreements. Sometimes those disputes involve valuation issues. If the claim is that the company should be dissolved, then there are avenues to turn the fight into a valuation or a buyout forum so that the company gets to survive and pay out the departing owner. Frequently, small business disputes hinge around a corporate shareholders’ agreement, LLC operating agreement, or partnership agreement. Other times, they may not have gotten around to creating an agreement at the outset, so now they need to work it out after the fact, or consult statutory “default” rules. Having worked on so many of these types of disputes over the years, I strongly suggest to people who are getting together with a partner or forming or entering a venture of some sort that they create their agreements at the beginning. I advise them on the aspects that will count at the end, when they’re leaving, hopefully years down the road. When the agreement doesn’t have an exit door – that’s when you have a dispute. People fabricate reasons to fight, and then it spins out of control. When the agreement is drafted properly at the outset, and later somebody wants to leave, they should be able to look at their agreement and say, “Ok, here’s what I can do, here’s what I have to do; here’s what I get paid, or here’s what I have to pay her.” You need an experienced attorney to help you plan for the range of possibilities. Think of it like a pre-nuptial agreement – you need to know what happens at the end of the arrangement, so things can go smoothly today. Q. What other types of disputes do you help your business clients manage? Collections and construction disputes are a recurring theme. It’s a complicated process to build or rehab a property. It’s not unusual to have disputes about whether the work has been done correctly and for the right amount of money. Sometimes it goes to arbitration or litigation. We work to advise clients about the costs and benefits of each, and the process. If you’re being sued, there may be no choice but to have the fight. Other times, you may want to have an experienced team work with you to do a sensible cost/benefit analysis up front before embarking on a fact intensive and perhaps lengthy litigation with an uncertain result. We always try to have that discussion early on. Frequently we are retained by clients who need to let someone go. Or an employee leaves and claims they were subjected to treatment that may give rise to a claim against the employer. Sometimes they’ve negotiated a severance package. There are some standard forms that have non-disclosure agreements in them. Often, both sides are concerned about confidentiality. We take great care in every situation. Q. So, if you’re a business owner, prevention is key – you need a good partnership agreement, a good operating agreement, and good contracts in place, right? Absolutely, and it’s not a one-size-fits-all solution. In family-run businesses, we consider the people involved and whether it’s the kind of business that can perpetuate itself through a generation or two. If so, then we help them with succession planning and estate planning all at once. In other situations, when a partner wants to leave a business, the remaining partners want to prevent competition so that the business can continue unhindered. Other times, it is a one-off business where the founder is creating a product and the goal is to drive it for 5-10 years and then sell. Their exit plan is to get merged or get bought. Those kinds of goals bring different factors into the equation – it’s all about what’s important to the people involved and their plan. We know what questions to ask so that your business will have a complete and well-formed agreement. When someone leaves the business, what do they get paid? Is the retirement plan for an elder business owner affordable to the next generation of owners, or will it be so expensive that it will kill the company? We see this all the time in professional organizations and business corporations. There needs to be a way to let the younger owners take control and get paid for their efforts – you can’t bankrupt the younger set to benefit the older set. If it’s too expensive, they’ll leave and go work somewhere else. It’s also important to clearly identify the client. Am I representing the majority shareholder who came in and wants to stabilize something or get his own succession plan established, or am I representing the company itself? Sometimes we are hired by a group of majority or minority owners. Then our interest is in benefiting that group, and we negotiate with the lawyer on the other side to work out the matter. Regardless, we are careful to avoid conflicts and always act in best interests of the client. Q. More and more, we’re hearing about non-competition clauses. What are your thoughts? Let’s say I’m an electrician, and I have a nice staff, a good name, trucks and equipment, and I sell my business to someone else who wants to use the same name, keep my employees and hopefully keep my customers. When I sell, the law will prevent me from competing in the same area. I sold my business and my goodwill, and the buyer bought the expectation that I will keep my hands off those customers. Another example comes to mind: A doctor in small upstate New York town in his 60s brought in younger doctor with the goal of eventually transitioning his practice (for a price) to this younger doctor. The older doctor had introduced him to all his patients and gave him a start where in an area where it wasn’t easy to launch a new practice. In return for this value, the younger doctor signed a covenant that he would not compete within a 30-mile radius. However, it didn’t work out, and when the younger doctor left, he opened a practice next door. The judge upheld the non-competition clause and the younger doctor was told that if he wanted to practice medicine, he would have to do so outside the 30-mile radius. With employers and employees, there are situations where an employer should be able to enforce a non-competition clause, although we do see them in contracts from time to time with people who should never be subject to a non-compete. For instance, many judges would not enforce a covenant signed by a car salesperson or short order cook. In my opinion, there is nothing that a car salesperson or cook can ever learn in the course of their job that is so important to the employer that it should prevent them from going down the street and working for another dealer. People need to be able to earn a livelihood. If I’m a car salesman, I shouldn’t be forced to go 25-30 miles away to work. It’s the car that is being sold, not my handshake. If the dealer can’t sell cars without “Joe”, then they should either be paying Joe more, treating him better or selling a different kind of car. That’s my personal view. The courts will ask, what unique and irreplaceable expertise does this person bring to the new employer that is so valuable to the old employer that a non-compete clause is necessary? The employee’s personality will follow them anywhere they go, and the old employer shouldn’t be able to deny them the ability to use their personality, knowledge and ability to deal with people. Some states have enacted legislation restricting the use of non-compete clauses. In New York State, however, the outcome will be in the hands of the judge. Q. What about businesses that aren’t in trouble yet, but they don’t have these agreements or succession plans in place? What is your top recommendation to business owners? Now is the time to work with your attorney so he or she can learn about your company and your goals and help you get out ahead of future issues. We want to know the owners, their plans, the business, and how to best address the competing interests in a business. Believe me, advance legal planning will save you time, money and heartache! 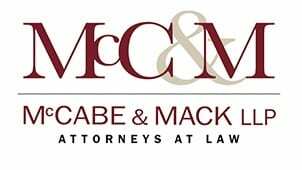 If you have questions and would like to learn more about business litigation, transactions, partnership, operating or shareholder agreements, business-related estate planning options, contracts, real estate or any other business legal matter, please call us at McCabe & Mack LLP. We would be pleased to help you. If you have any questions, please feel free to reach out to me personally at 845-486-6858 or by email. Richard R. DuVall, a partner with McCabe & Mack LLP, is a graduate of University of Massachusetts at Amherst and Albany Law School of Union University. Rick is responsible for overseeing and in many cases, acting as the primary litigator in the firm’s Commercial Litigation Department. These matters vary widely, and include disputes involving everything from corporate dissolutions, business torts, commercial and residential construction, real estate contracts, easements and other real estate issues, to disputed trust accountings, probate contests, other matters involving estates and wills and trusts and also include creditor’s rights matters, such as mortgage foreclosures, collections, bankruptcies and many other forms of commercial disputes. 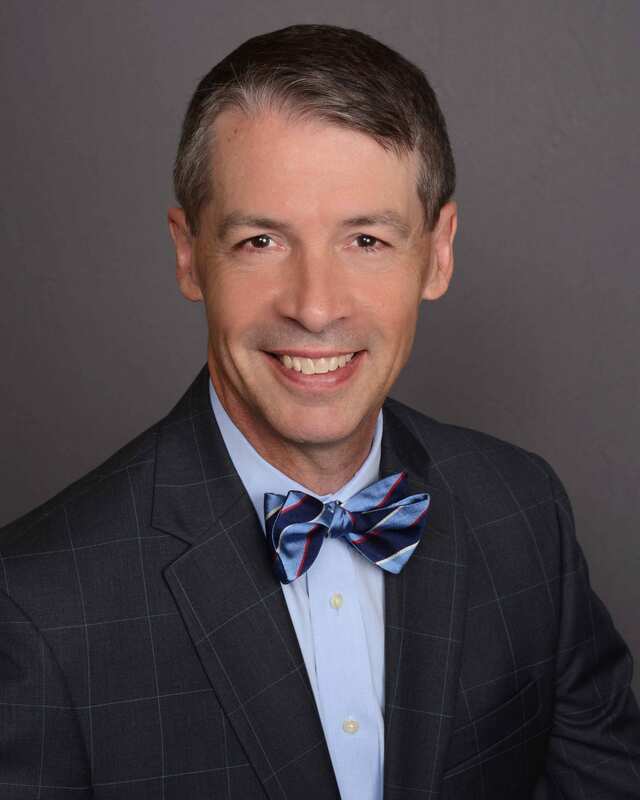 Rick’s experience in litigating a wide variety of commercial, personal and family business matters has made him valuable to the firm’s corporate clients in transactional and operational matters as well. Rick counsels our large and small business clients on mergers, asset sales and acquisitions and day-to-day corporate governance matters. Rick lives in the Village of Rhinebeck with his wife Lisa Rubenstein. He has served on the Board of Directors of Literacy Volunteers of America-Dutchess County and served as a Trustee of the Pleasant Valley Free Library. He is a past President and current member of the Board of Directors of The Art Effect, formerly Mill Street Loft. Rick plays squash and golf and rides his bicycle all over the Hudson Valley.